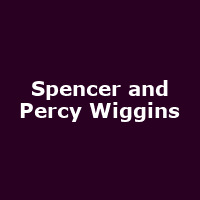 "Memphis raised Spencer & Percy Wiggins first started in the R&B Group The Four Stars, along with songwriter / producer David Porter, when they left High School. Spencer Wiggins released his debut single "Lover's Crime" for Goldwax Records in 1965. He followed this up with a slew of incredible Soul singles throughout the 1960's before joining Fame Records in 1970. Percy Wiggins was signed to RCA Records by Jerry Crutchfield in 1966 and released his debut single "The Work of a Woman". More singles followed on Atlantic, ATCO and Abet."